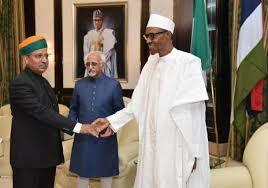 India emerged Nigeria’s biggest trading partner in the third quarter of 2018, with N719.2billion of crude oil purchases and N37.7billion of natural gas import from Nigeria. India also bought cashew nuts worth N4.7billion. Latest figures from the National Bureau of Statistics (NBS), covering July, August and September, showed that Nigeria imported motorcycles and cycles worth N29.2billion from the Asian country. Other imports were medicines, such as antibiotics to the value of N7 billion, agricultural machines worth N3.6billion, dried vegetables N3.6billion and treated mosquito nets N3.4billion. The NBS in the report “Commodity Price Index and Terms of Trade for third quarter, 2018” listed Spain, France, Netherlands and China as Nigeria’s other major trading partners. Spain was the second biggest buyer of Nigeria’s crude, after India. The European country bought crude worth N463 billion and liquified gas valued N52.7 billion. Nigeria also shipped leather valued N4.3 billion and cocoa paste worth N300 million to the country. In return, Nigeria imported petrol or motor spirit at N25.7 billion, bitumen N3.7billion and petrochemical products N3.4billion. France is Nigeria’s third biggest trading partner, the NBS figures showed. France bought N422.5 billion crude and N74.2billion liquified natural gas and N1.1billion of soya bean oil from Nigeria, during the period. Nigeria imported petrol, called motor spirit worth N54.6billion and lubricating oil, worth N16.1billion. Netherlands is also a major importer of Nigeria’s crude as it bought N260.7billion worth in third quarter. It also bought liquified gas valued at N5.6billion, cocoa beans N2.9 billion and frozen shrimps and prawns N1.9billion. Nigeria imported from The Netherlands motor spirit or petrol valued at N337.2 billion, gas oil, N48.2 billion, medical equipment N36.7billion and medicines, such as antibiotics N9.5billion. China, the fifth important country to Nigeria in terms of trade bought crude worth N24.5billion, gas that includes LNG and butane N48.6billion. Nigeria imported chips worth N14.6billion from China, herbicides N14billion, motorcycles N12billion, vehicle chassis N10billion, iron and steel N10billion. The NBS said the all products Terms of Trade (TOT) index rose 0.52 per cent during the period under review. TOT is the relative price of imports in terms of exports and is defined as the ratio of export prices to import prices. It can be interpreted as the amount of import goods an economy can purchase per unit of export goods. The NBS said the increase in the TOT was driven by prices of prepared foodstuffs; beverages, spirits and vinegar; tobacco, footwear, headgear, umbrellas, sunshades, whips among others. According to the report, the all commodity group import price index decreased in the period under review by 1.76 per cent. It stated the decrease was due to change in prices of vegetable products. In addition, the report stated that all commodity group export price index rose by 1.26 per cent in the quarter under review. This, it stated was driven by prices of prepared foodstuffs, beverages, spirits and vinegar, tobacco, footwear, headgear, umbrellas, sunshades and whips among others. It further stated that all region group export index rose by 1.05 per cent as a result of trade with Asia. According to the report, the all region group import index rose by 1.22 per cent as a result of trade with Oceania and Asian Regions. It stated that all regional terms of trade rose marginally by 0.10 per cent as a result of trade with Asia and other African Countries.